It is always the right time to contribute to a worthy cause if you have the means. Charity not only benefits the recipients, but the givers as well. Whether by donating money or time, charitible contributions come in all variations. You can connect yourself to a great cause, meet other amazing givers, and strengthen the good set to come back your way. This cause is especially close to B.A.F.F.L.E.D. because of its link to some of our supporters. Please check out this amazing story, and support this down to earth cause to save a life impacted by End-Stage Renal Disease. This organization is a fave around here. Bottomless Closet was founded in response to the compelling need for services to increase the potential of women on public assistance and help them achieve economic self-sufficiency. You can donate time, money, or those fashionable pieces you want to pass on to others. We sure do! With heart disease as the #1 killer in America, this organization seeks to build healthier lives, free of cardiovascular diseases and stroke.The heart is an essential organ, and in order to keep it healthy and seek cures through research, AHA needs as much help as possible. Diabetes is often considered the "silent killer". This disease not only affects overweight Americans, but minorities, children, and people with the condition running in their families. In reality, no one is exempt, and no one should be exempt from helping. 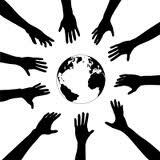 Diabetes is far too prevalent, but with the aid of helping hands, we can all work to fight this killer. Unfortunately cancer is a rising cause of death in our county. It comes in all forms, and affects all segments of society. 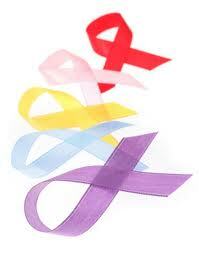 ACS is committed to saving lives from cancer and reducing the global threat of the disease. This cause is an open group for anyone who is willing to donate a little time and money to help fight breast cancer. Lead by Real Talk With Felicia, PFP has been a continual supporter of the Susan G. Komen Foundation for the Cure for some time, and has taken contributing to a new level. You, too can join in the Passionately Pink for the Cure Campaign, encouraging people to have fundraisers and events with a Pink theme (like Purposed for Pink) to raise awareness and funding for the Cure. HIV and AIDS are often taboo topics of conversation. Well in raising awareness, it no longer has to be. The Red Pump Project raises awareness about the impact of HIV/AIDS on women and girls. The mission is to promote HIV prevention through education, and open dialogue about the issues that surround sexual and reproductive health. Red Pump is a fabulous favorite of ours, and a necessary promoter of health and wellness. Swish Dreams is another one of our personal faves; pairing education with sports and nurturing children. Now kids can get their sports fix while excelling academically. This rising organization is making waves in the sports industry and high recognition among academics. Swish Dreams seeks to expose children to a "Swish Education", which provides academic, social, and physical enrichment to youth, while integrating the disciplines of Language Arts and Mathematics. With a summer camp set to begin in June, you should not miss out on enrolling your little one in this great program. For more causes, click on our B.A.F.F.L.E.D. Resources. Glad you stumbled by, and hope you keep coming! Thanks for sharing the info on FAMEDS! We're all about helping others and promoting the common good. Please feel free to share more.